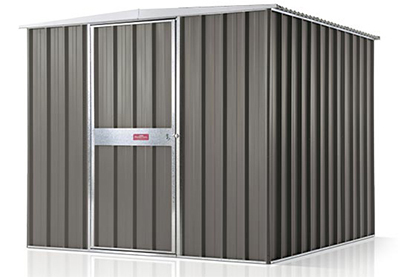 Crisp, clean and uncluttered lines are a feature of this attractive and economical storage shed. The Handi-Garden shed is a simple, well designed storage unit that comes in a size to suit every lifestyle and backyard requirement. 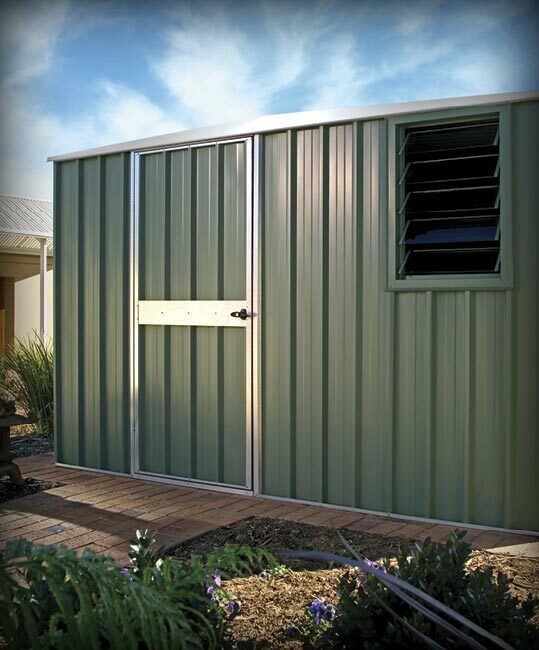 An uncluttered interior structure, combined with bold attractive lines on the outside, make Handi-Garden sheds more than just a practical addition to the garden. 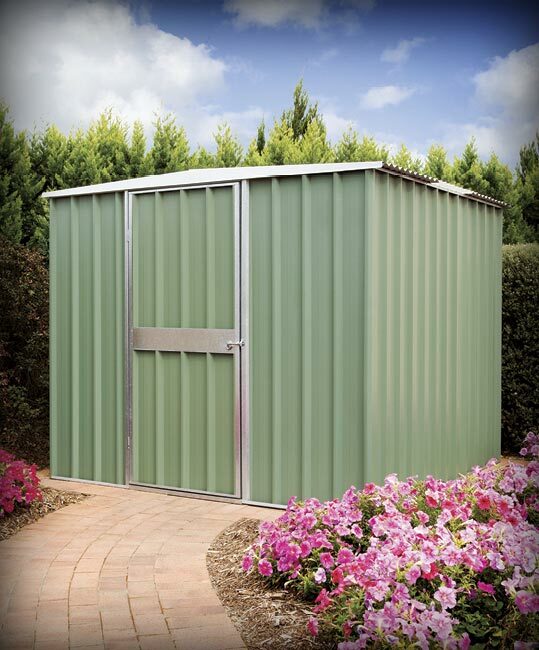 Handi-Garden storage sheds are available in an impressive range of colours or in un-painted zinc/al. Quality construction means your Handi-Garden shed will be a lasting investment. 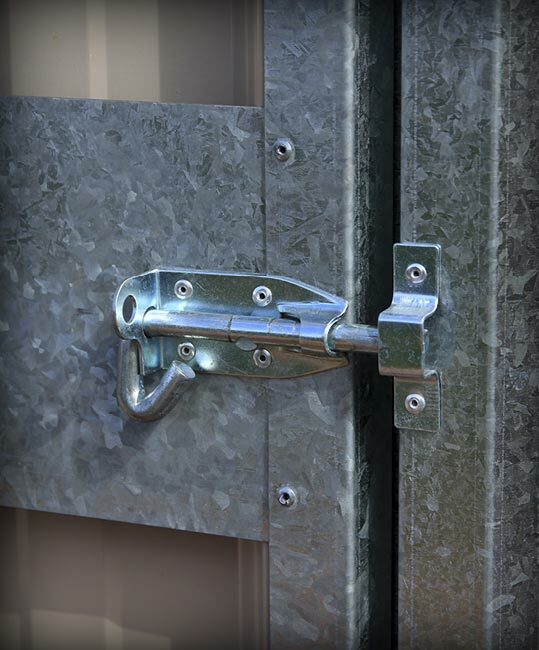 All parts and accessories are galvanised for durability. 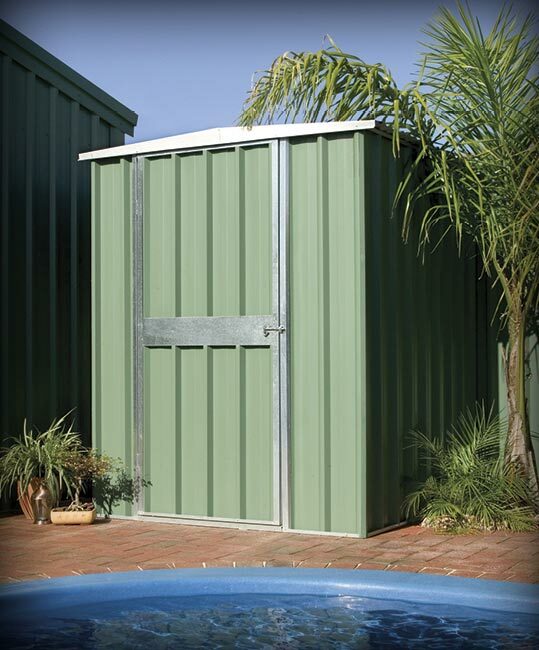 A sturdy ridge beam adds to the sheds rigidity. The walls are made from strong high profile Superdek® sheeting, and the roof is made from the easy to maintain corrugated profile. 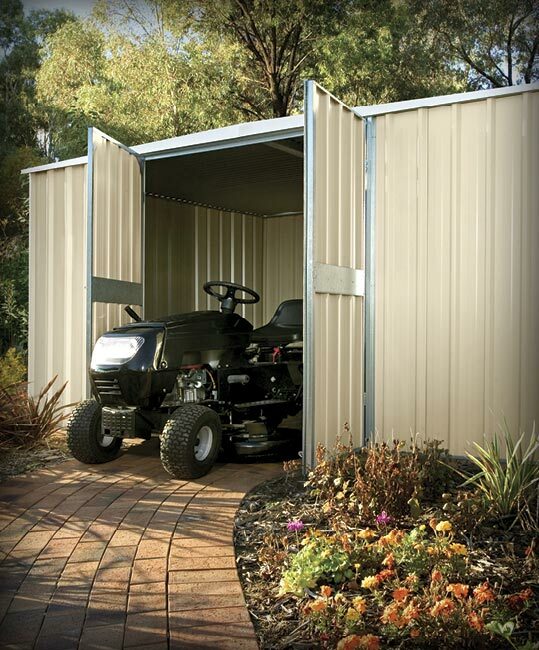 Handi-Garden sheds are one of the easiest sheds to install. 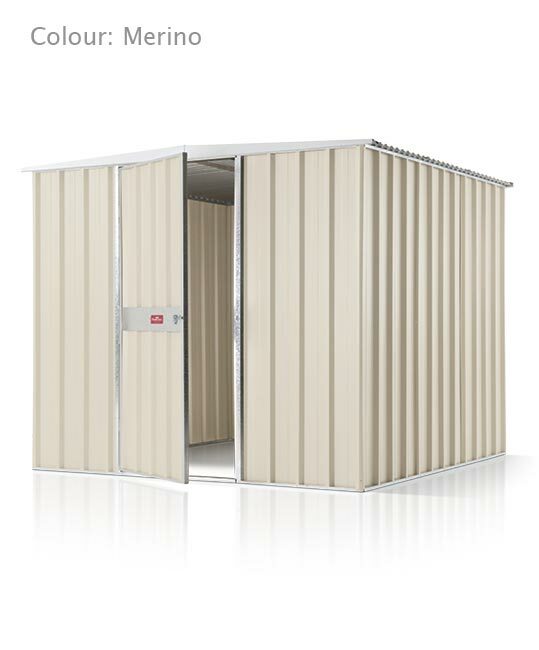 Designed for a quick and simple construction, Handi-Garden sheds are an ideal do-it-yourself project. 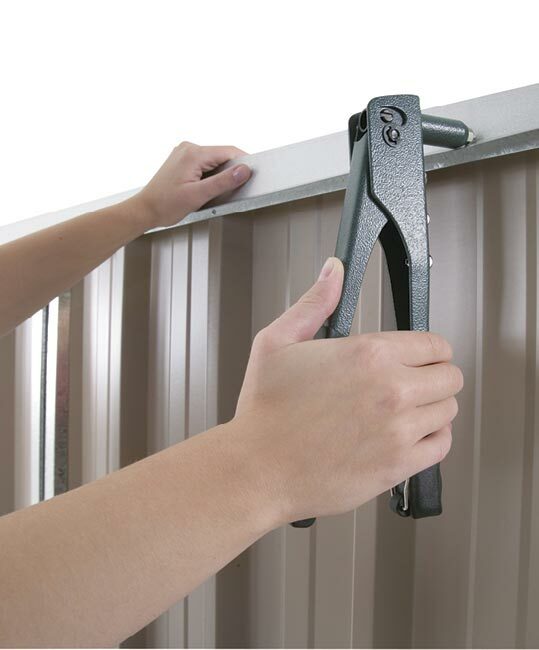 The wall sections come as complete panels and the corners simply rivet together. 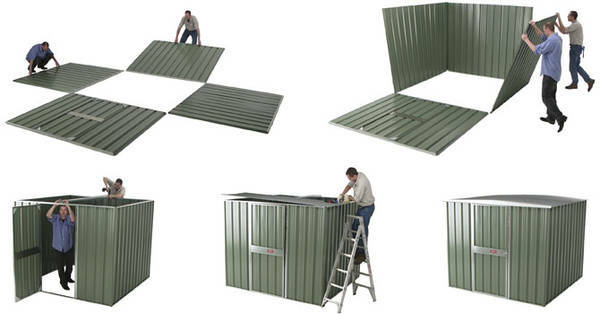 Full length roof sheets mean there are no joins required on the ridge. Alternatively we can arrange to have your shed installed by a qualified trades person. 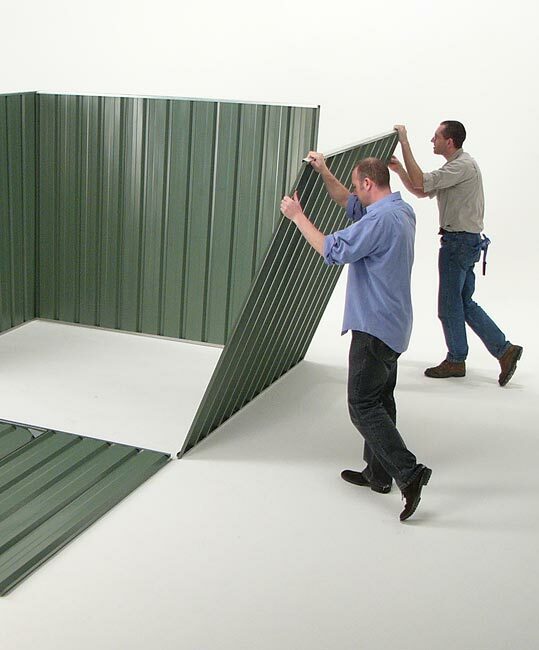 Walls are made from strong, high profile Superdek® sheeting. Nominal sizes shown. Width and Depth are measured to the outside of roof. 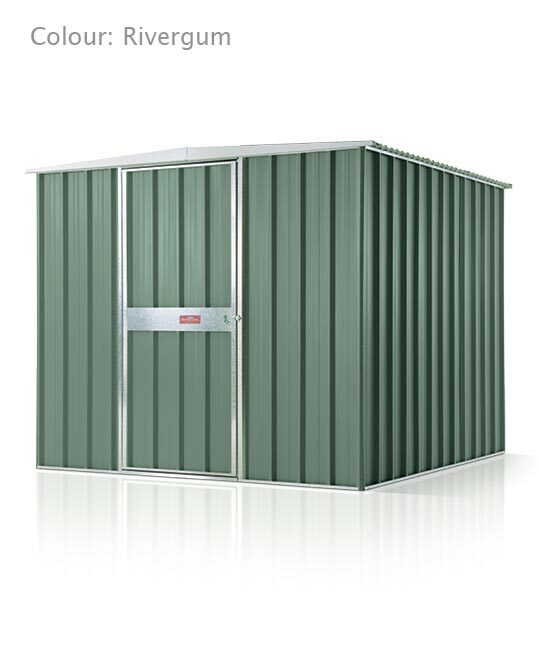 All Handi-Garden Sheds are supplied with an unpainted roof and trim. 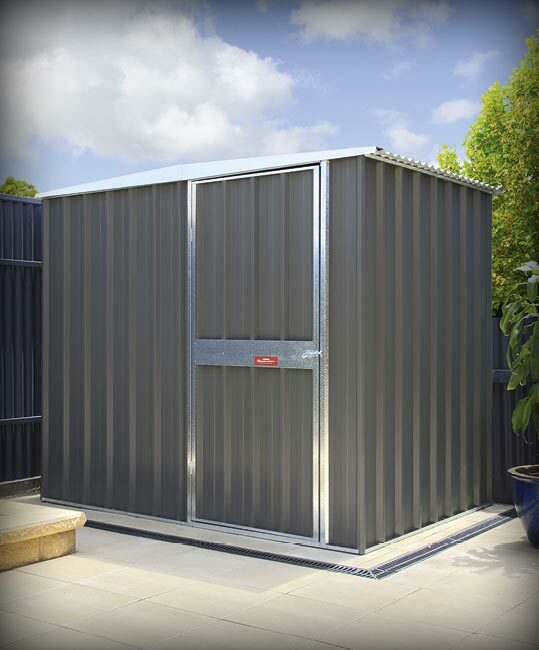 Choose from a wide range of optional extras to complete your Handi-Garden storage shed. Double doors (not available on N1 and N2 sheds, for other sizes; check with your state for availability). Coloured door frames and jams (check with your state for availability).